Home / Skin Care / How to Get Rid of Freckles? 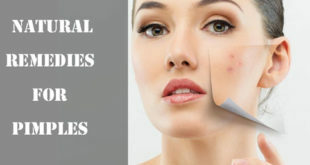 In this article, we will discuss remedies to get rid of freckles. 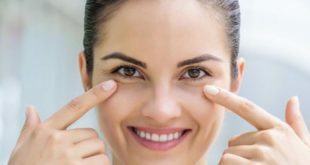 Adding to the woes of acne, blackheads, and whiteheads, freckles are something that most of us just donвЂ™t want to deal with. Nothing that interferes with our clear skin is ever welcome, isnвЂ™t it? They may not be medically threatening to your health, but these red, brown and deep brown spots called freckles do make you feel low on confidence. The situation is more complex if you are fair skinned, on a dark skinned person, you will almost never see these freckles. They wonвЂ™t be that much visible. Also called age spots, they occur when production of melanin, which is the dark pigment of your skin, is accelerated by ultraviolet light. Though not common in many people, nobody likes to have them on their face as they tend to interfere with our natural beauty. It is also important to know here that these freckles are harmless and having them does not give rise to any serious problem ever. In order to get rid of freckles, home remedies work best, since these are natural and donвЂ™t have any side effects. Though a lot of people opt for cosmetic procedures as well to get rid of freckles. These freckles are nothing but flat, round and brown spots of different sizes that appear on the skin, mostly fair skin. 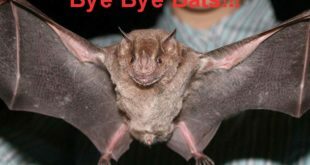 They are seen on facial skin, arms, and shoulders mostly due to over exposure to the sun. These spots are basically clusters of melanin stains right on the top layer of your skin. 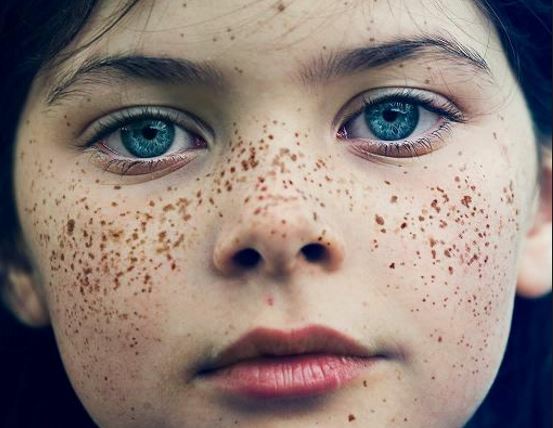 It is believed that the formation of freckles has a strong connection between heredity and sun exposure. Freckles are a sign of skin damage as believed by most doctors. It is particularly useful for those with sensitive skin. The lactic acid present in sour milk can help a lot to get rid of freckles faster. This amazing ingredient works by inhibiting tyrosinase to lighten your skin tone. It prevents the overproduction of tyrosinase enzyme and thus helps you prevent hyperpigmentation of skin. You can rinse the affected skin with sour milk daily to get rid of freckles effectively. If you do not have sour milk, yogurt can also be used for this purpose. Alternately apply some sour cream on the affected skin and allow it to dry for a few minutes. Instead of rinsing it off with water, you must gently wipe it off with a soft tissue or a towel. Then apply some moisturizer. Do this at least once daily to get rid of freckles and to have a flawless face. Honey acts like a natural medicine. It has long been used for a lot of skin treatments and works really well in keeping the skin moisturized and supple at all times. It is also one of the best natural ingredients for getting rid of freckles naturally. Honey is a wonderful product for fading freckles because it contains enzymes that help lighten skin pigmentation to a great extent. You can make an herbal mask by mixing a little wheat germ with warm honey. Apply this mask and allow it to sit for about 10 minutes. Wash off with some warm water before washing with cold water to increase the effectiveness. Repeat two to three times a week for a couple of months. This is one of the most effective home remedies to get rid of freckles. You can also make a mixture of honey and yogurt, and apply it on the freckles for 30 minutes daily; this is very effective as well. Honey is most commonly used as an effective remedy for freckles and falls in the category of one of the best remedies for this purpose. The very healthy drink buttermilk, obtained from good old milk, contains a lot of lactic acid, which has a natural bleaching effect on your skin. It can be used to get rid of freckles as it helps peel the bad part of the skin. In addition, it will make your skin smooth and supple. You can make a thick paste here of powdered oatmeal and buttermilk and apply it on your face. Wash off with fresh cold water after leaving it on the skin for about 30 minutes. Do this once daily until you get rid of freckles. Alternately, you can also simply apply buttermilk over the freckles, leave it on for 10 minutes, and then rinse it off with lukewarm water. Repeat twice daily for several weeks to get rid of freckles quickly. If the above remedies donвЂ™t suit you well, you can also combine one tablespoon of buttermilk with one teaspoon of lemon juice. Wash off after applying it all over your skin and letting it sit there for a few minutes. Do this at least twice every day. Onions are most readily available in our homes. These onions, which are so widely used for cooking a lot of dishes work really well to get rid of freckles as well. Though you may not like the smell, but if the end result is what you are looking for then the smell shouldnвЂ™t be an issue. They are used widely for this purpose due to their sulfur content which helps to exfoliate the dead skin cells and give birth to a new skin. Simply grate one red onion, extract its juice and apply the juice on the affected skin twice a day. 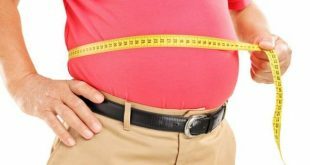 To make this more effective, add one teaspoon of vinegar to the onion juice as well. Repeat this remedy daily for one or two weeks to get rid of freckles. Alternately you can cut one red onion into thick slices and rub the slices gently on the freckles twice daily. 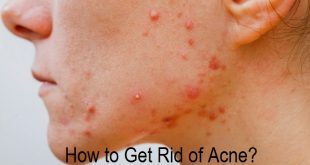 Continue this remedy until you get rid of freckles completely. 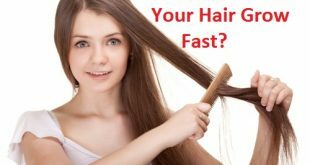 It is one of the best remedies recommended by a lot of doctors as well and a lot of people use it globally for this purpose. The papain enzyme in papaya exfoliates your skin so that your skin may produce new cells which make it look fresher. It is another effective remedy to get rid of freckles and give you a glowing skin. Although green raw papaya has more papain in it, ripe papaya can also make your skin freckles free. 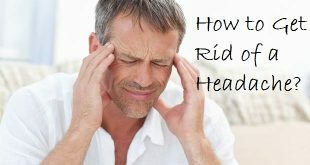 This remedy is really easy to use as well. Apply fresh papaya juice directly on the freckles using a cotton ball and gently massage the area. Wash with cold water after a few minutes. Do this once daily for at least for a few weeks or until you are satisfied with the results and you get rid of freckles effectively. Papaya also makes your skin looking healthy and supplies it with the essential nutrients. It is one of the most common remedies used for freckles all over. Almost all of us know how lemon juice has skin lightening properties that nicely bleach the dark spots on your skin and lighten the skin tone. It is for the Citric acid present in lemon which is one of the best ingredients that can fade away freckles or any other spots on your face. Lemon juice is an excellent bleaching agent. One option is to use a lemon scrub here. Cut a lemon in half and sprinkle one-half teaspoon of sugar on it. 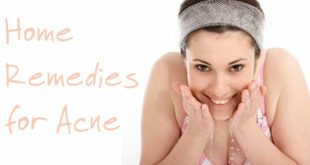 Gently scrub your skin with it for a few minutes and then wash your skin with water. Do this once or twice a week on a regular basis to get rid of freckles really fast. Alternately apply fresh lemon juice on the affected skin and gently massage the area. Wash off with lukewarm water after letting it sit for a few minutes. Do this twice a day till you get rid of freckles easily. 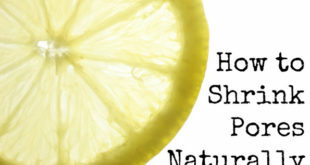 Lemon juice works wonderfully well on the skin and also gives it a natural glow. It is also a very good ingredient for getting rid of sunburn on the skin. Horseradish roots are high in vitamin C which is responsible for its quality of minimizing scars and blemishes on any kind of skin. 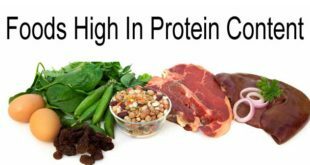 It is a product that has been used since ages for various medical conditions. 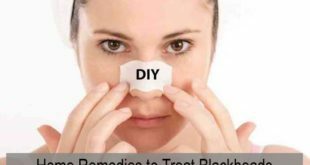 The ingredient also works as an antioxidant to maintain healthy, younger-looking skin and is one of the best remedies here to get rid of freckles naturally. To benefit from horseradish, add one tablespoon of powdered horseradish root to a cup of milk and boil it. Cool and strain it. Wash off after applying it on your skin for about 10 to 15 minutes. You will get encouraging results if you do it at least four to five times a week.В Alternately mix one grated horseradish with the juice of one lemon to make a paste. Then apply this to the skin and leave for some time. Then wash it off with cold water. 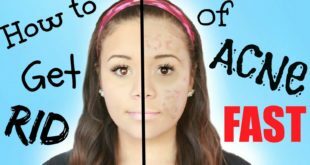 Follow this remedy every other day until you get rid of freckles quickly. Castor oil will give you an even skin tone and help freckles fade away within a few applications. It indeed is a great remedy and easy to sue as well. 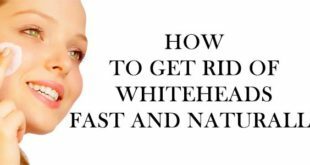 The oil will also help to give you a smooth skin and give your face a natural glow. Make sure you are using pure organic castor oil for this purpose though. Apply castor oil on the affected skin before you go to bed daily. Get up in the morning and wipe the excess oil before using some water to wash off your face. Continue this remedy daily until you get rid of freckles. Using pure cold-pressed castor oil is the best thing to do here.В It is one of the easiest and safest remedies for getting rid of freckles. However, if you have an oily skin avoid using castor oil and go for any other remedy which is not oil-based. These seeds are excellent for giving you a healthier looking skin and making you get rid freckles and all the other blemishes. If you combine sesame seeds and turmeric, it will also help fade your freckles and promote skin lightening besides giving you a healthier looking skin. To benefit from sesame seeds, grind one tablespoon of sesame seeds and one teaspoon of turmeric powder thoroughly along with a little water to make a smooth paste. Apply this paste on your skin. Wash off with cold water after sometime. Your freckles will fade away if you do it once daily. 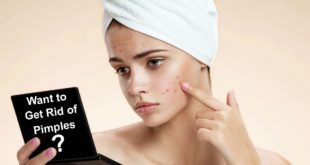 This is also a great remedy for getting rid of freckles quickly and a lot of people have seen some amazing results on the skin after using this remedy. Eggplant have phytonutrients with antioxidant properties besides being rich in a lot of vitamins and minerals. Being rich in antioxidants, eggplant can also be used to get rid of freckles and make them less noticeable after a few applications. Here slice one fresh eggplant into thick pieces. Place the slices over the affected skin. Take-in an eggplant slice and gently rub it in a circular motion on the skin. Let it sit on the skin for a few minutes. 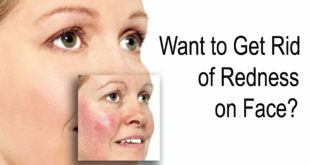 You will begin to notice an improvement in the appearance of your skin after a week of this treatment. After a few weeks you will notice the freckles will lighten to a great extent. You can also increase your consumption of eggplant and include it while cooking your dishes daily to extract the maximum benefits out of this vegetable. Though it is called a fruit, is a great herb having a host of minerals and vitamins in it and has been used since long for a lot of skin and hair treatments. The salicylic acid present in it can shed the epidermal layers of your skin. It exfoliates your skin and removes dead skin cells to give way to spotless new skin within a few applications. On the other hand mint is rich in vitamin A and C which really helps in lightening the skin and getting rid of freckles easily. Here, just take one banana and a few mint leaves. Mash the banana and add crushed mint leaves to mashed banana and mix well to get your mask. Then apply it to the affected area. Due to its banana content this pack will start melting after sometime. Wash it off when it starts melting away. Do this daily to get rid of freckles naturally. Due to its unsaturated fatty acids, vitamins E, B2, B6, PP, minerals and phytosterols in almond oil is a rich agent for the skin. The best thing about almond oil is that it will not clog your skin pores or cause breakouts. Presence of vitamin E helps protect your skin against harmful ultraviolet sun rays, besides keeping your skin moisturized. For this, you may take some oil in a steel or metalic bowl and place this into a larger bowl filled with hot water. Just make sure that water doesnвЂ™t enter the bowl with oil while doing this. If you take glass bowl, it will not conduct the heat from the hot water. Using this warm almond oil massage your skin for about 10-15 minutes, being gentle all the time. Right time to do this is before going to sleep at night. Repeat daily for at least 2-3 weeks to see results and to get rid of freckles really fast. 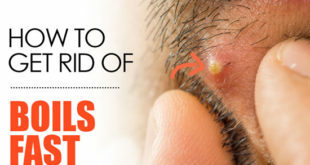 It is better you consult a dermatologist before opting for these. Try and stay in the shade as much as possible, especially those of you with fair skin, light or red hair, and light eyes. Use sunscreens with an SPF value suitable to the environmental conditions that you live in. Begin sun protection at a young age. As soon as you hit puberty your skin is more prone to damage from the sun. Wear a hat for some added protection. Make sure you reapply your sunscreen periodically. Avoid stepping out in the Sun during the peak hours that is between 10 am and 4 pm during the day. Previous How to Get Rid of Corns? 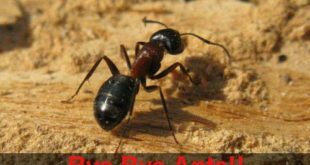 Next How to Get Rid of Sugar Ants?